Hello! Get to know me. Having moved into a new Country for work with very few friends around, I had a lot of time on my hand and decided to take Photography as a hobby and bought my first DSLR (Nikon D80 with a kit lens)... For a good period i was just shooting it in JPEG and didn't realize the power of Digital Photographs (especially for someone who came from a country where only Film photography was popular and you only get 1 shot to get the image you need!). When i look back i have come a long way from starting to shoot in a P&S to FX camera now. I was intimidated by so may talented photographers around me and their astounding pictures always made me not to share my images publicly. It was in 2010 when i first printed a picture for my colleague as she was absolutely in love and wanted a copy. When i saw my work for the first time on a wall is when i felt absolutely Happy and since then i have been gifting my pictures to friends who have encouraged me! 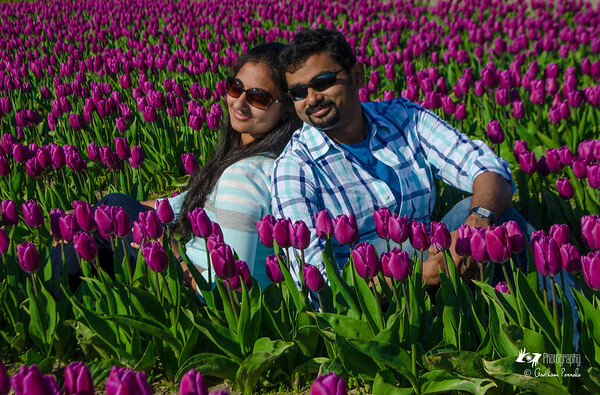 It wasn't until December 2014, when my lovely wife Aarthi pushed me to publish my pictures on a Facebook page. Since then my pictures have been recognized by a lot and people wanted to get prints! She is truly my better half! I don't think she has said NO to any gear i wanted to buy (I know! how lucky i am!). She is also highly enthusiastic to wake up at odd hours and drive for long time to get that one beautiful shot! I am very happy to say i have truly implanted the Photo bug in her :) She is truly the women behind my success! Thank you Hun!